306oc - Peugeot 306 Owners Club & Forum - Clutch problems - read this first! 306oc - Peugeot 306 Owners Club & Forum > 306 Repairs & Mods > Guides > Clutch problems - read this first! Full Version: Clutch problems - read this first! Bit of information for those that don't know, and a couple of pictures to help explain. Similar issues? 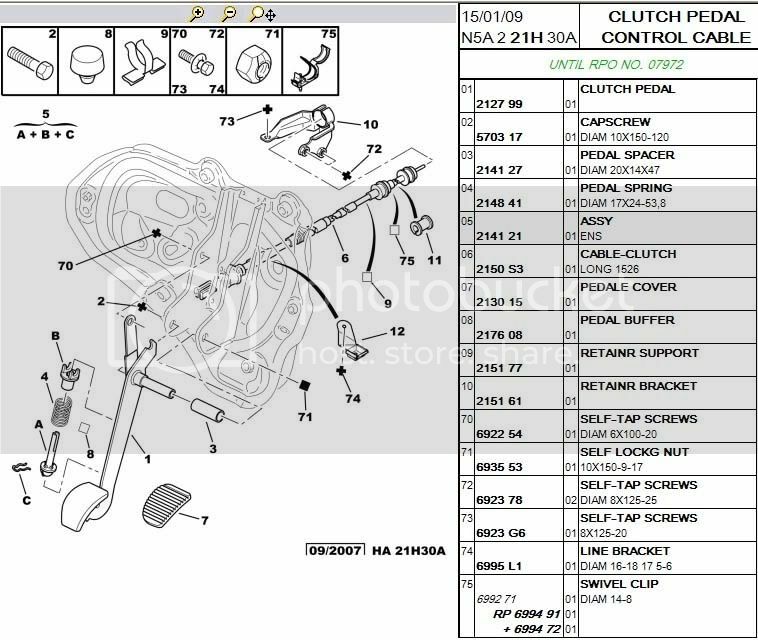 Hold on.. before you go and spend the best part of £120 on a clutch kit and cable, take a look at the side of your clutch pedal. 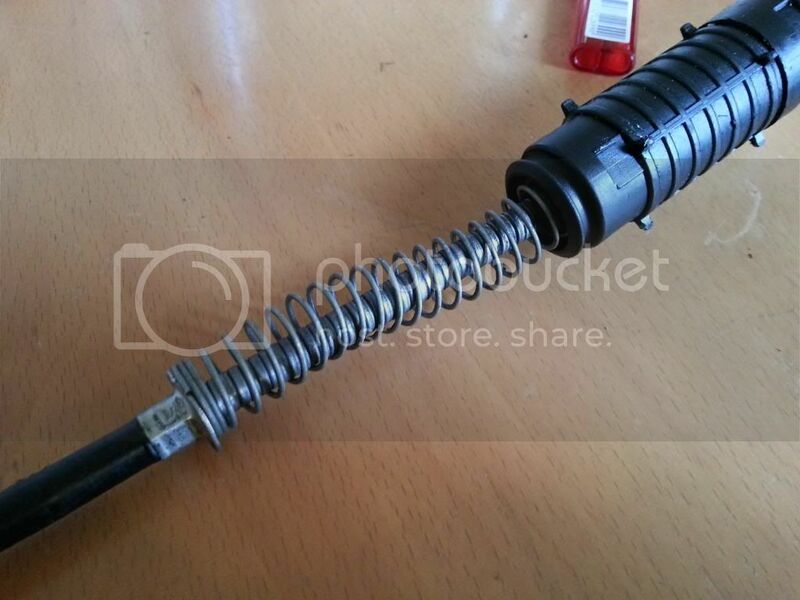 See that spring/plastic sleeve kind of assembly below that's probably there? Get rid, f*ck it in the bin. This is the clutch pedal assist spring, fitted by Peugeot to give the clutch a "sportier" feel. What a lot of people don't realise is that a tech update from Dealers on 306's from new advised removing the spring assembly if a customer complained about it. Now, it wasn't a recall, and most 306's will still have the spring assembly present. Normally it's not an issue but can cause some misleading symptoms. Firstly, the clutch pedal appears to stick about 1" from the normal resting position. No problem, bit annoying to flick the pedal out with your toes occasionally, but it WILL get worse. What happens next is the self adjuster in the cable takes this stuck position as resting and adjusts the cable to this new position. The bite point then creeps down to the floor to the point it's hard to get in gear. Ignore it much longer, and the cable fails, no doubt soon to be followed by the clutch. Catch it in time and it may just be a case of removing the spring, in my case I had to replace the cable as the ratchet had seized at max adjustment and I couldn't get the bite point back from the floor again, although removing the spring assembly allowed the pedal to travel all the way up again. Here's the state of my old cable. Ignore the frayed heat shielding, that's from having it resting against the exhaust on the gti and it getting burned. (03-03-2013, 02:32 PM)cwspellowe Wrote: [ -> ] Bit of information for those that don't know, and a couple of pictures to help explain. The pedal spring is completely separate from the cable, easily removed and no need to touch the cable at all. How do you remove this arse of a thing? for anyone wondering how to remove this. There is a retaining clip© at the bottom of part 5 remove this with a screw driver.then pull the part via the bottom towards you if doing this from the drivers side and pop out it comes. mine works fine and i guess it pings the pedal back faster, why wouldn't you want that? (29-08-2013, 05:56 PM)Mattcheese31 Wrote: [ -> ] mine works fine and i guess it pings the pedal back faster, why wouldn't you want that? Remove it and you'll see . Sometimes they stick basically making you loose half the travel in your clutch pedal both my 306's (xud, Hdi) have had this issue so removed and so much better in my eyes its there to make it feel "sporty" I must of overlooked this and be an ungrateful sh*t as all it did for me was pi** me off feels better without. 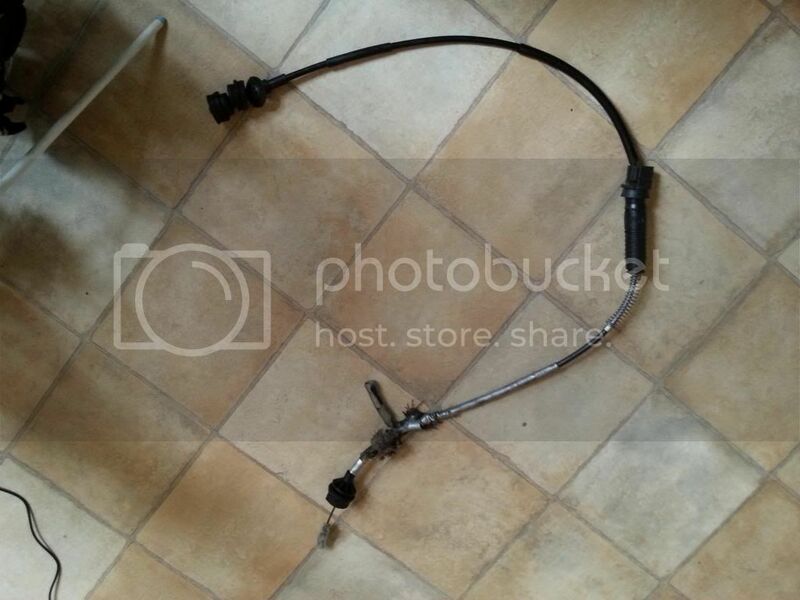 The Clutch in mine is very heavy to press down, I removed this spring but still no difference, How easy is it to change the clutch cable? Its not a nice job to change the clutch cable, prepare your self to have your arms scratched to bits!! there is a guide on changing clutch cable under the guide section. it helped me with my clutch issues to remove that spring from my clutch pedal. I replaced my clutch cable on the luxury of a ramp and it was abit of a nightmare. I wasnt aware of this spring. I shall remove at once! Thanks for the info, just saved me a clutch change. Does this explain my clutch pedal not making it's mind up where to work? Sometimes it'll be right up top and others i'll end up stalling as it's pretty much a few mm lift until it bites. Don't know that the spring would do that...your cable might be on its way out! Mine had a floating bite point for a week or two before it decided to pack it in on a warmish day. I'd step on the pedal and it'd just plunge into the floor with bugger all resistance, and couldn't get it in or out of gear without polishing the teeth a little. Had to park it and walk the last few km home, then went and collected her late at night when it was colder with no traffic. The next day I managed to get her to my mechanic 45mins away by only using 2nd gear. 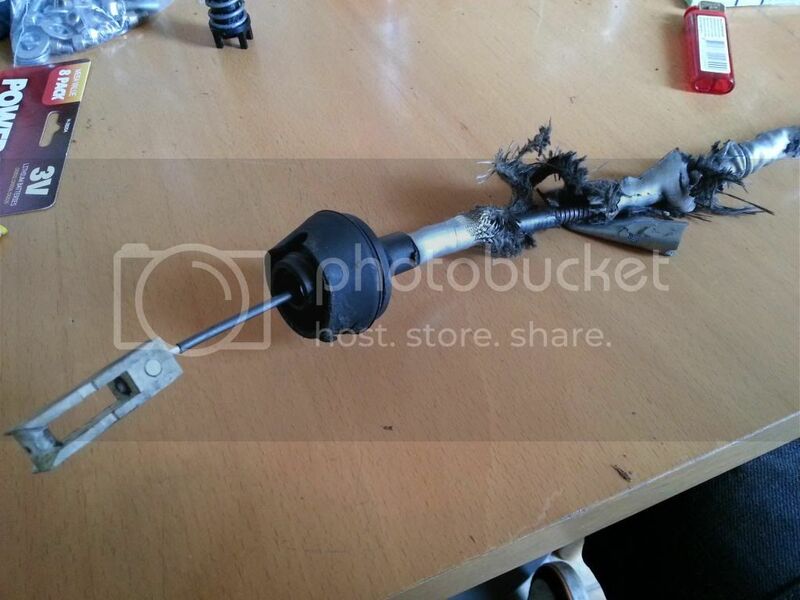 (30-11-2013, 10:40 PM)TheLurchmeister Wrote: [ -> ] Does this explain my clutch pedal not making it's mind up where to work? Sometimes it'll be right up top and others i'll end up stalling as it's pretty much a few mm lift until it bites. Must give this a try today! Thanks for the advice, I have this problem where the clutch pedal sticks about an inch from the top of the travel. And it is difficult to engage 1st and reverse gears. So I'll be giving this a try when i get a chance and will report back if it fixes the gear engagement problems. Just done this. Yup at 05:43 hrs. Takes all of two mins. Hopefully my sticky pedal will be history. I have the pedal like described, i'm gonna check it on the weekend for that spring, i'll give feedback after. which side of the clutch pedal is this on the side towards the passenger side or the side towards the brake pedal? 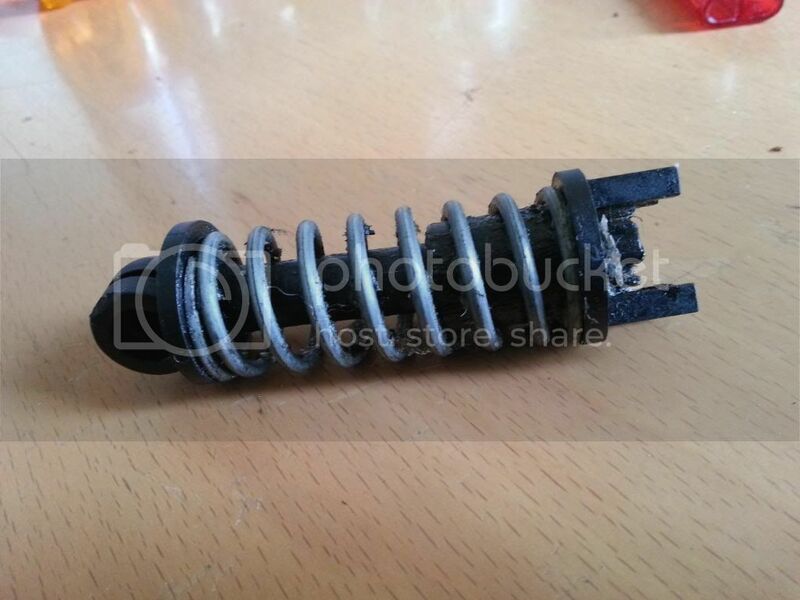 I took some spring out doesnt look like the pic above but thats made the clutch a lot lighter.. any idea what this spring was? I have been getting a horribly sticky clutch pedal but I've also been getting a creaking from in the gearbox when putting the clutch in and out which is leading me to thinking the clutch that's the problem! I'll have to give this ago though! I know the spring is still on it. Is there a separate gearbox oil fill point? Aaah, amazing. Now I know why the car's been such a b**ch to drive all these years! Thanks very much! I've been driving my new (old) 2001 now for about a month and my left knee is falling off.. I already tried bike chain lube at the gearbox end but to no avail. Will try this mod and see if this makes life a but easier - may also try more lube from inside the car as it feels like cable is going to give - Either that or my knee..